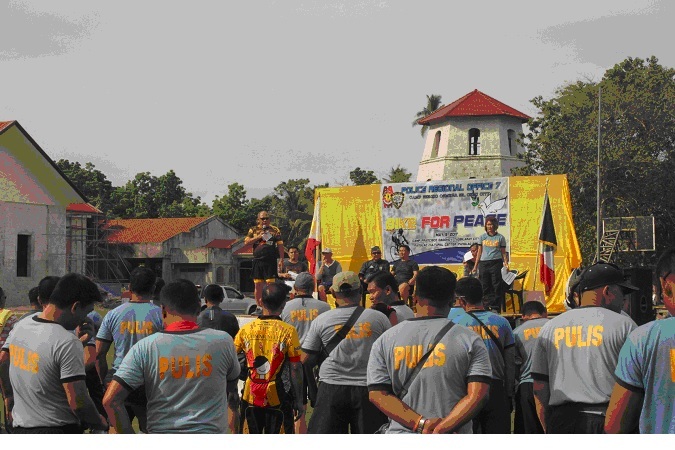 TAGBILARAN CITY, May 9, (PIA)–It may have happened before, but the recent Bike for Peace activities organized by the Philippine National Police Regional Office 7 in Bohol is the first among the upcoming events, announced Police regional Chief PCSuperintendent Noli Taliño in Panglao. General Taliño, who did not fail to mention the beautiful and scenic 18 kilometer route from Camp Dagohoy to Panglao passing through the Dauis causeway, said the Police Regional Office thought of the ride as the police little help to assure tourists that it is safe to live, roam around and do business in Bohol. Taliño led the PRO Officials including deputy regional director for administration PCSupt Franklin Moises Mabanag, PSupt Clarito Baja, Bohol Police Chief PSSupt Felipe Natividad, and his officials in the 20 kilometer ride that pedaled off from Camp Dagohoy, to Panglao Plaza, then to Alona before going back to the Plaza for a short program. From here, we might do the same to other nearby provinces, he added. The group arrived to a zumba dance session with Panglao local officials leading the early morning stretch. Later, PCSupt Talino moved off and led the police bikers in the zumba until the program started. Also in the ride pack were police officers and men from the regional office, police officer bikers from the towns, bike groups from Baclayon, Alburquerque, Bike Kings, Bike ta Bai, Bol-anon Cyclists, Cortes bikers, Antequera BeerBogs, Maribojoc, Bureau of Fire Protection, the Philippine Information Agency, Bureau of Jail Management and Penology, Capitol Bikers, Dauis and Panglao bikers. “We wanted to get to Alona because we want to show to the tourists that it is completely safe to go to Panglao, and to Anda,” Taliño who earlier talked to the national media with his Met bike helmet still on, said. We are picking Panglao and Anda, two of Bohol’s famous beach destinations frequented by foreigners, he said even as 10 of the 12 members of the Abu Sayyaf bandits that stealthily arrived in Bohol have been killed in relentless government operations since April 11. The arrival of the bandits and their notorious ways of kidnapping for ransom and bombing soft targets have forced foreign embassies to issue travel advisories in the Visayas and southern Philippines. By May 10, the Bike groups move to Jagna for another round of bike rides for peace, Taliño appraised everyone, which included bike groups and healthy lifestyle enthusiasts gathered at the plaza. The second bike ride for peace in Bohol pushes off from the Insular plaza in Jagna and takes the Bohol belt highway to Guindulman before turning right to the tourism destination called Anda, 36 kilometers away. The PRO and the Bohol Provincial Police Office has invited nearby police stations and the community in Anda to gather at the Quinale to be there at the briefings that happen as the bikers arrive. In the menu are briefings on terrorism, anti crime and other relevant topics that would affect that part of Bohol, according to SPO1 Jennifer Atanacio. TAGBILARAN CITY, February 18 (PIA)—Bohol lost steam and sizzled as it slid to fourth among 13 sports delegations towards the closing days of the Central Visayas Regional Athletic Association (CVRAA) meet held February 12-17, 2017 at the Teodoro Mendiola Sr Oval in Naga City. 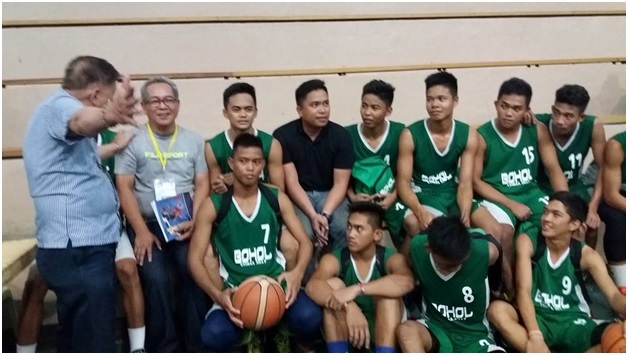 On the second day of competitions, Bohol took a commanding second place, its athletes achievements even earning precious newspaper spaces all over Central Visayas but could not hold on to its edge. Medal powerhouse Cebu City kept its 2016 lead and cemented a 25th straight winning streak for the CVRAA crown with 144 gold medals, 64 silvers and 77 bronze medals. Observers always pick Cebu City as favorite, being the host of most schools with well-defined sports programs. Cebu Province, which finished fourth overall in 2016 improved its position by skipping over two positions to trample then third placer Bohol and second placer Mandaue City to claim a spot as the region’s next delegation with the most medals. Cebu Province nailed 37 gold medals, 41 silvers and 47 bronze medals to sidle in between Cebu City and next bigger contender Mandaue City. On day three of the sports competitions, Bohol could not keep up with the gold harvest and settled for third, a position it continues to lose grip to Mandaue City, which had also a terrible showing in 2017. Mandaue City finished off the sports hostilities emerging with 29 gold medals, 49 silver medals and 47 bronze medals to earn the third spot in the region’s pre qualifier to the Palarong Pambansa. Bohol, which ranked third last year could only muster 25 gold medals, 38 silvers and 75 bronze medals to claim the fourth place. Lapulapu City maintained its fifth place finish in 2016, with 23 gold medals35 silvers and 35 bronze medals. Like Cebu Province, Tagbilaran City pulled out a stunning show and performed two notches better earning sixth place after five days of events. Tagbilaran City bagged home 21 gold medals, 20 silver medals and 25 bronze medals in 2017, as against its 8th place finish in 2016 with only 8 gold medals, 20 silvers and 20 bronze medals then. Tagbilaran City in 2017 overtook Danao City which has clung to the 7th place position it claimed in 2016. Danao City could only make 17 gold medal finishes, 30 silver medals and 25 bronze medals this year. From 9th rank in 2016, host City of Naga improved its standing to eight when its athletes finished off the games with 7 gold medals, 9 silver medals and 19 bronzes. Then ranked 6th in 2016, Talisay City slumped to ninth position in 2017 earning 6 gold medals, 13 silver medals and 14 bronze finishes at the capping day of the tournaments. The City of Bogo showed promise this year as from being last in 2016, the delegation improved its position massively; jumping over three notches to claim the 10th berth of the CVRAA 2017. The City of Bogo posted 6 gold, 4 silver and 10 bronze slate after the 2017 hostilities. Toledo City, which was occupying the 12th spot in 2016 jumped up to 11th and beat next contender Siquijor Province by one gold medal more. 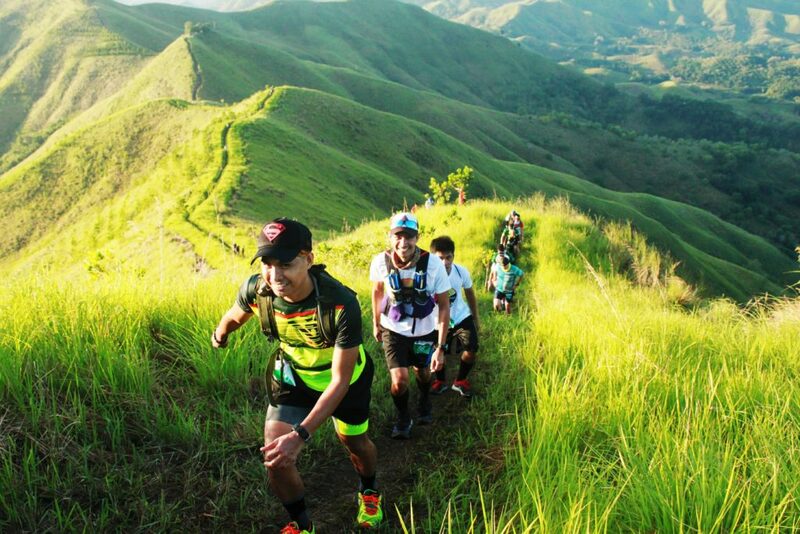 Toledo City capped the days with 3 top finishes, 5 silver finishes and 4 bronze finishes. On the other hand, Siquijor, which used to claim the 10th space in 2016 also slid off to 12th with only 2 golds, 4 silvers and a single bronze. Carcar City, which used to have the 11th place in 2016 could only muster a silver and 4 bronze medals to settle at the tail end of the CVRAA 2017 roster. Mr. June Lopena wins the Mr. Sandugo 2015 Muscle Showdown held on July 18, 2015 at the Island City Mall activity center. 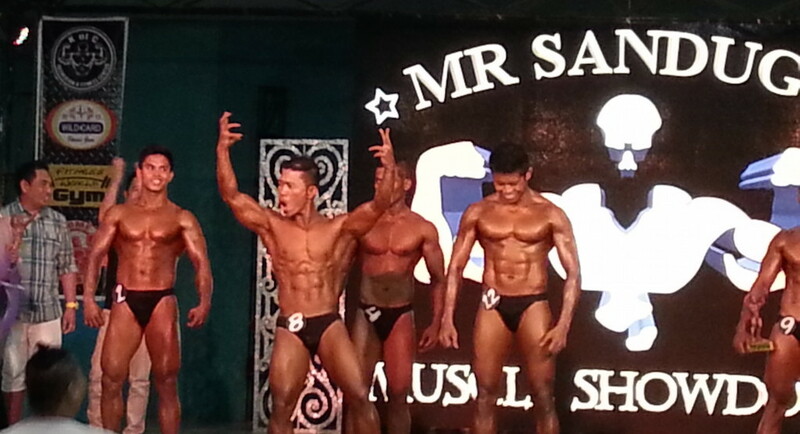 Lopena represented Bakbons Gym and showed the best form among eleven other contestants. The showdown was organized by the K of C Recreation and Fitness Gym headed by gym instructor Lloyd Vergara and was presented by Roy and Maita Thomas, Friends from Hawaii and Hon. Jose Antonio S. Veloso. Production was planned by the Blue Grass Project. The participants of the showdown represent the various gyms and fitness centers in the city led by the K of C Recreation and Fitness Center. The other participating centers are Wild Card Fitness Gym, Fitness World Gym, Bakbons and Fit Stop. “The 140th founding anniversary of the Municipality of Anda is all about fulfilling a long time dream of every Andahanon”, says Mayor Metodio “Dodong” Amper as he leads the founding anniversary celebration of Anda. Amper thanks Gov. Edgar Chatto for making this dream come into reality particularly in the strengthening of its tourism development goal during the groundbreaking rites for the concreting of Guindulman-Anda-Badiang Cogtong Road. The 7.5 kilometer provincial road section, which covers the barangays of Suba, Talisay, Linawan, and Badiang, all leading to several beach and dive resorts in the municipality, is among 5 provincial road projects included in the convergence program of the Department of Tourism (DOT) and the Department of Public Works and Highways (DPWH). Chief Operating Officer of the Tourism Promotions Board (TPB) Domingo Ramon “Chicoy” Enerio, who represented Department of Tourism (DOT) Sec. Ramon Jimenez, reiterated the support of national government for economic growth through tourism in Bohol, and for Anda in particular. In his message during the program, Enerio revealed 46% increase in foreign tourist arrival in Bohol in 2014, emphasizing preparations Anda needs in order to gain its share of these tourists in terms of attraction, culture, adventure, and facilities as it competes with other destinations. Gov. Edgar Chatto, who almost did not make it to the activities due to car trouble, assured Anda, as strongly as his resolve to attend the foundation day activities, of the continued support of the Provincial Government in efforts to make its mark as a prime tourism destination. The governor said Bohol as a province is bent on making sure tourism recovers after bearing the brunt of calamities in the past year and Anda and its undiscovered treasures are a very welcome addition to what the province has to offer. Anda gears up for more development as it implements various projects to support tourism goals such as the P32M KALAHI CIDSS program, P6M from Bottom Up Budgeting, P3.2M for waterworks, P5M for skills and livelihood, and P5M for its municipal hall and the development of the Lamanoc Island tour. P160M has also been reserved in the 2016 budget for the circumferential roads of Anda, said 3rd District Representative Art Yap, who also affirmed tourism potential of Anda, bringing in investors during the foundation day celebration. DOT Region 7 Dir. Rowena Lu Montecillo, DPWH Region 7 Dir. Ador Canlas, and DENR Regional Executive Director Isabelo Montejo also graced the groundbreaking rites. The DOT-DWPH Convergence also includes the following provincial road projects: 1. improvement of Abatan -Agahay – Busao-Toril-Aghao Rd. (Cabawan), 2. Improvement of Jct. (TER) La Union – Mabini -Cabulao -Ubay Rd., 3. Concreting of Cabulao -Ondol (Mabini) – Union ( Ubay) Rd. (Access Rd. To Nautical Highway), and 4. Concreting of Catigbian – Canmano Rd. While in Anda, Chatto also visited Brgy. Tanod to inspect the ongoing 8-km road rehabilitation project that traverses through the hinterland barangays of Almaria, Katipunan, Tanod, Buenasuerte, and Tawid. Arlington (AP) – Pacquiao cemented his claim as boxing’s best last Sunday by giving Antonio Margarito a beating that resulted in a broken eye socket and a surgery. The only problem for Pacquiao on that day was him not being able to sign autographs because his hands were swollen and he couldn’t handle a pen properly. It was a superb performance, although not terribly surprising since it was expected of Pacquiao already. His mother, famously known as Aling Dionisia, was so caught up in the excitement that she fainted for a while as the fight ended. Everyone else stayed upright, watching in delight as Pacquiao finished off a night’s work by kneeling down in a neutral corner and saying a prayer of thanks. The lopsided win gave Pacquiao his eighth title in as many weight classes in a remarkable career that began with him fighting at 107 pounds as a teenager in the Philippines. He was in charge the entire way, battering Margarito so badly that Pacquiao was pleading with the referee to stop the fight in the 11th round so his opponent wouldn’t have to take any more punishment. Pacquiao was also asked about Mayweather and answered that he was tired of the politics of boxing and that if there was to be a fight, he’ll take it to Bob Arum. If Mayweather spent $65 to watch the pay-per-view he may be even more reluctant to fight Pacquiao than before. He also has legal problems stemming from an altercation with the mother of his children that could interfere with a possible fight in the spring, but Arum believes that if Mayweather really wants to fight then the bout could be made. Back home, where even crime stops when Pacquiao fights, the end touched off celebrations across the country. President Benigno Aquino III, who is attending the APEC summit in Japan, rushed back to his hotel room to catch the bout and sent his congratulations. Boxing has never seen anything like Pacquiao, whose string of recent performances has reinvigorated the sport. His latest win earned him at least $15 million. Pacquiao flew to Lake Tahoe for a Tuesday concert before preparing to return to the Philippines. Once home, he’ll get back to more mundane concerns, like making sure schools in his congressional district are functioning and getting funding for a new hospital that is badly needed. Mayweather may be in his future, but there may be a point where Pacquiao doesn’t need Mayweather anymore. He certainly didn’t need him Saturday night to draw a huge crowd to Cowboys Stadium, where he now has one more win this year than the Cowboys themselves.